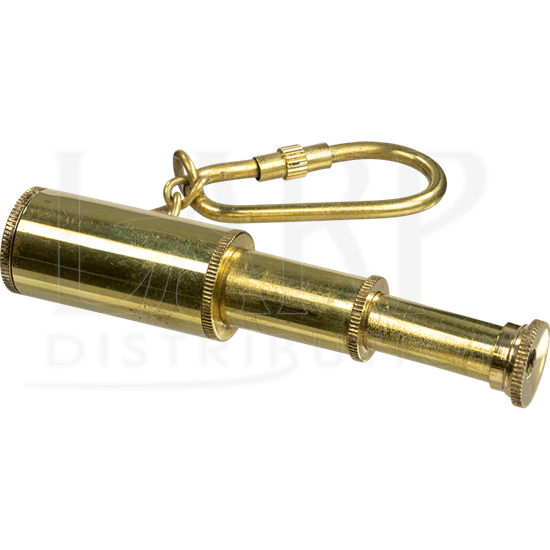 Imagine adventures on the high seas or peering into distant lands with the Brass Telescope Keychain. 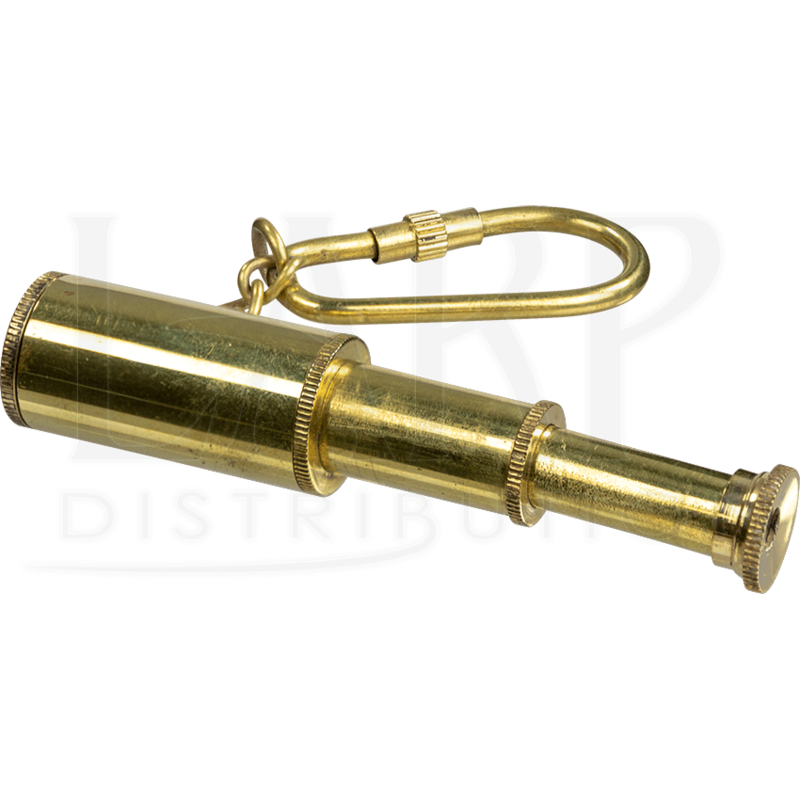 This mini nautical keychain is handmade from brass, has an actual lens, and collapses into itself just like a real telescope, forming a small cylinder. The attached ring is opened and secured shut by twisting the knurled knob, making it easy to add to keys or zipper pulls. Remind yourself of ocean voyages and far off horizons with this mini telescope keychain.